An alternative to using Analogue Intercom Systems is to make use of IP Intercom Systems , designed to handle purely VoIP traffic or, as in the case of the AlphaCom XE-series equipment, to handle both VoIP and traditional analogue intercom user stations. In the case of analogue stations, connectivity with the central exchange remains a necessity, but outstations may be connected using an existing LAN. The STENTOFON Pulse offers High Definition voice quality, simple installation and ease of use. The IP-based system works by utilizing an existing IP network infrastructure. It employs open standards including SIP, HTTP and XML, making it simple to integrate and expand with third-party systems. With Analogue Systems be aware that line length can become an issue where the analogue system relies upon low level electrical (DC) signals to convey various conditions to the central equipment e.g. handset on/off hook, press-to-talk etc.,. In a typical analogue system, the maximum line length (central equipment to farthest intercom user station) may be expressed as a loop resistance figure e.g. 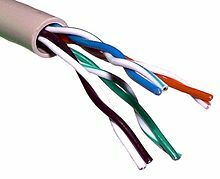 240 Ohms (120 Ohms per wire) – this equates to a line length of approx. 1.4km using 0.5mm diam. copper conductors.